98' (29.87m) INACE YACHTS "BOUNDLESS" SOLD! 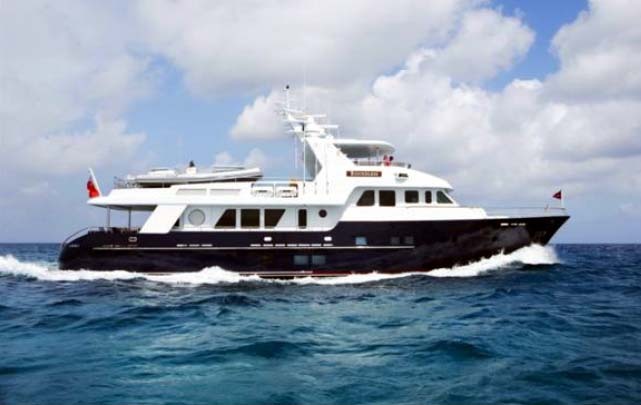 All Ocean Yachts is pleased to announce the sale of BOUNDLESS the 98', Jon Overing design Inace Yachts Explorer. BOUNDLESS was designed and built for an ALL OCEAN YACHTS client. John DeCaro, President of All Ocean Yachts worked with the owner and designer Jon Overing from a clean sheet of paper through build, operation and resale of the vessel. BOUNDLESS sold in less than 5 months from the date of listing her and carries on the tradition of builds done with All Ocean Yachts and Inace Yachts of returning full value of the build cost and more to the client. If you love her design and the many well thought through features and missed the opportunity to purchase BOUNDLESS, please contact John DeCaro about the new updated designs of BOUNDLESS and the larger versions at 105' and up. All Ocean Yachts thanks all who contributed their efforts in this successful sale. If you are considering Selling your Explorer or Long Range Yacht please contact us about listing and selling her in an expedient time frame.